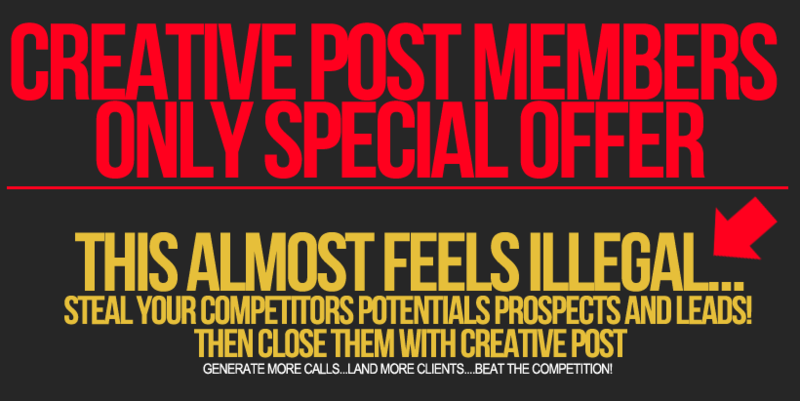 Social Lead Freak + Creative Post Perfect Combination! – Download it now. 1.) Extract UID’s from users of FB Groups, Fan-Pages, Events, Places and even Individual People. 2.) Extract the UID’s of the users that have ‘shared’ ANY post on FB. This can be the UID’s of your competitor or someone else in whatever niche you are in. 3.) You can even extract UID’s from ANY Secret/Private group that you are a member of. 4.) Find out ALL the Groups (even Closed or Secret) that your friends are members of. 6.) You also get Ali G’s “Demographic Freak” software PLUS the FB Connect plug-in so you know the Demograhics of ALL Facebook users that visit ANY of yours OR Client Sites. 7.) Even Search the Google+ network for leads and info to Improve your ‘Google Authorship’ across ALL your sites.